Issues can be deleted from your publication at any time. Deleting an Issue will delete all articles that exist within the issue. Navigate to the Edition based publication which contains the issue you wish to delete. Locate the issue you want to delete. Mouse over the issue you wish to delete, from the menu that appears click 'Delete'. A 'confirm' prompt will be displayed. Click 'Delete'. The issue will be deleted. Deleting an issue is permanent and cannot be reversed. 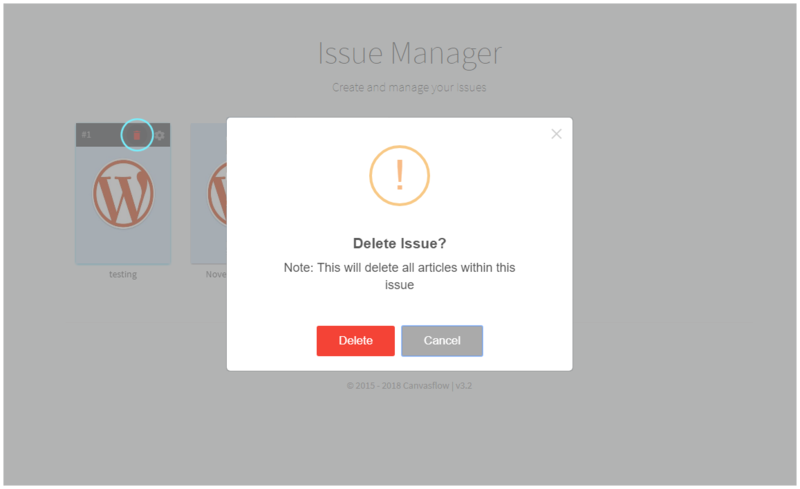 Deleting an issue will delete all articles within the issue. Deleting an issue does not remove it from the production feed. If you are connected to the Pugpig channel and wish to remove the edition from your App, you must first 'remove issue from production' before deleting it.